(see this article in the South Florida Business Journal last Friday). This is going to mean all sorts of potential problems for physicians and their patients who are using or want to use the 4KScore test as a way to assess their initial risk for prostate cancer. The people at Memorial Sloan-Kettering Cancer Center who were heavily involved in the development of the 4KScore test are probably also not going to be too happy with this decision. Novitas Solutions is the regional MAC which determines what treatments Medicare should cover in New Jersey, nine other states, and Washington, DC. OPKO Diagnostics’ reference laboratory that processes all 4KScore tests is also situated in New Jersey. OPKO Diagnostics has already stated that it will seek to appeal this decision. The U.S. Food and Drug Administration has just approved the use of OPKO Diagnostics’ Sangia Total PSA Test system, which uses the company’s “in office” Claros 1 analyzer to provide the test results (see here for the relevant OPKO media release). This new system is said to be the first point-of-care test that can deliver PSA results near where the patient is being evaluated (e.g, at the doctor’s office) instead of waiting for laboratory analysis. The test can be administered with a simple finger prick for a blood sample, and results are generated in 10 to 15 minutes. This means that a patient who needs a PSA test can have a blood sample taken when he comes into the physician’s office and the physician could have the result for the patient by the time he actually comes into the exam room to talk with the patient. Potentially, that is going to be a very big deal for many patients because it will mean there is no more delay and anxiety while waiting for test results. The fly in the ointment is liable to be the cost of the equipment to be able to take the sample and run the test on the Claros 1 analyzer. It’s a pretty safe bet that most primary care physicians’ offices won’t feel they can afford this equipment, but for large urology and urologic oncology practices it may be a good investment. 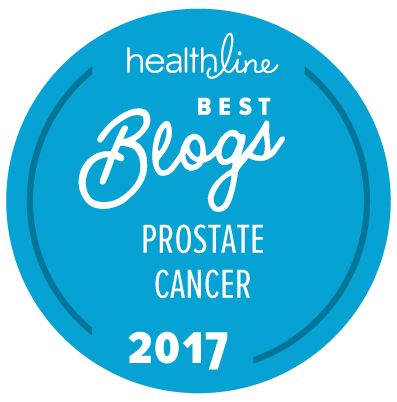 A similar, less expensive diagnostic test, the Prostate Health Index (PHI), is already FDA and Medicare approved (see here). An issue with the Claros on-site PSA analysis will be knowing how to compare the results with any other PSA data. Currently the two main international analytical methods for PSA cannot be directly compared without adjustments. True … but then this is why we encourage men to always try and get their PSA tests done at the same laboratory using the same analytical methodology. If one’s urologist decides to get this new system, one may need to be cautious about making serious decisions just one PSA result using this system and “hold one’s fire” until one has at least two such test results using this system. Do anyone know how sensitive the point-of-care test is? Rick: You’d have to ask OPKO.